The Construction Manpower Development Foundation recently signed a Memorandum of Agreement (MOA) on 7 February 2018 with ESCA Knowledge Academy (Multi-disciplinary Institute of Technology Inc.), a recognized training provider of CMDF. The MOA aims to accelerate and expand training delivery of the Enhanced Construction Managers Training and Certification Program (ECOMTCP) by recognizing certificates issued by ESCA Knowledge Academy as completion of an elective module for ECOMTCP. As a part of this MOA, CMDF recognized its first ECOMTCP elective through ESCA Knowledge Academy’s BIM 100: Digitizing the Built Environment which was conducted in partnership with the PCA Technical and Education Foundation on 23-24 February 2018 in the PCA Training room. ESCA Knowledge Academy, a recognized training provider of CMDF, conducts trainings on Building Information Modeling (BIM). BIM is one of the elective modules under ECOMTCP, it is a digital process encompassing geometrical dimensions, time management and scheduling, cost management and estimates, sustainability, and facility management. As the Philippines enters a new era of infrastructure boom, this technological advancement in the construction industry digitizes the process from pre-construction to maintenance which can improve productivity and efficiency, help contractors meet timelines and assist government in ensuring quality and transparency in projects. Since BIM builds a structure virtually before physical construction, this allows stakeholders to work in a collaborative digital environment where changes will be less costly and less time consuming. 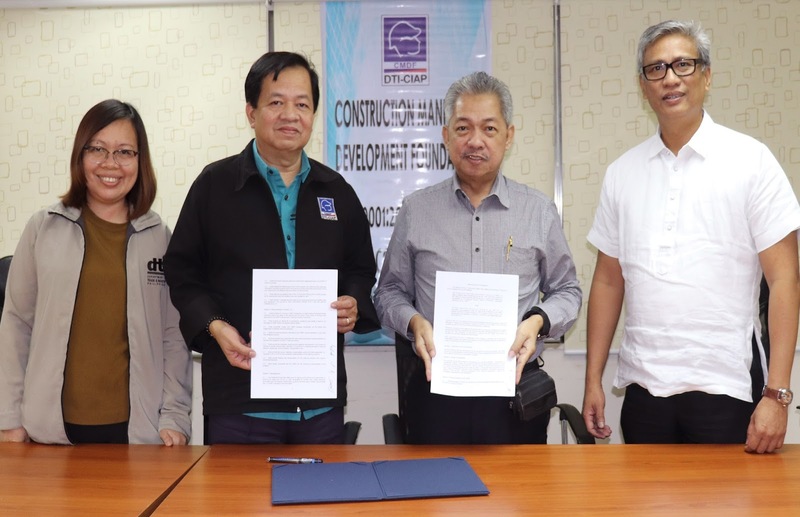 The partnership demonstrates the government’s drive for technological advancement in the field of construction for a globally competitive Philippines.